This is a unique twist on a faire tale. 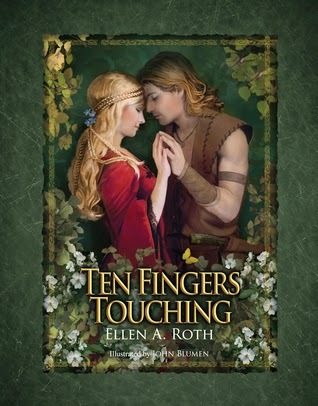 Ten Fingers Touching is a more grown up version of a fairy tale. More geared towards women. It focuses on Marianna and Martak. A young couple that against odds, shows that true love does exist and happy endings can come true. There is no big scary moments, despite Martak encountering a three headed sea serpent. The chapters are short and not clustered with lots of wording. Sometimes simple is best. Which is what the author did and what I really enjoyed about this book. Also, the illustrations were wonderful. They just came alive and really brought the story to life. I would catch myself at times just staring at the pictures and would have to go back and pick up again where I left off on the page. If you are into fairy tales and love stories then you should pick up a copy of this book today. This book is a treasure. What inspired you to write TEN FINGERS TOUCHING? I wanted to write a romantic fairy tale for adults. There is nothing sweeter, more tender or beautiful than young love. I dedicated this book to the youth in every woman to take a woman back to that special time in her life when she experienced her first loving relationship. I wanted her to recall the magic of her first kiss and the joy of her first intimate physical encounter. When the book was done, the title just jumped out at me and it felt right. There seems to be resurgence in fairytales. From TV’s Once Upon A Time to the film Into the Woods starring Meryl Streep, fairytales are more popular than ever. Why is that? Children have always enjoyed fairy tales. I certainly spent a lot of time reading magical stories and dreaming as a child. But now we're seeing adults brought into the world of fairy tales. Why? Perhaps because the world we live in is filled with so many harsh realities, e.g., war, terrorism, cyber terrorism, hunger, poverty and disease. Technology and social media communicate all these horrors...all these evils....in real time and we are confronted with them on a daily basis and often powerless to make a difference, even when we want to play a role. Also, the outcomes are unknown. Fairy tales take us out of the present and enable us to escape into magical worlds of fantasy and imagination where good triumphs over evil and we can align ourselves with the heroes and heroines. I don't really have a favorite author. I belong to book club and we read everything. I have a collection of favorite books. What I enjoy the most is being swept into a story and not being able to put the book down until I finish it. Tell us more about your main characters, Marianna and Martak. What was your inspiration for these characters? Marianna is not only a beautiful maiden but the most intelligent young woman in her village. Her father, a retired school teacher, taught her to read and write. She studied mathematics, astronomy, music and many other things. Because she is so well-educated, she is brought to the court to be the governess to the young princess, who is a delightful but mischievous child! Martak is the Master of the Forest. He is strong, brave and handsome. He was raised in the woods by Good's chosen warrior, who is his Guide and mentor. There are many special things about Martak, but one is that he communicates with animals and he learns to fly with a set of wings fashioned by his Guide! Other main characters include Good, Evil and Princess Rosy! Why are there Pittsburgh references in TEN FINGERS TOUCHING? I am a huge champion of Pittsburgh. The Pittsburgh references are for fun and to give Pittsburgh fans a special connection with the story. They are inside jokes! How did you find illustrator John Blumen? I went to the website of the Pittsburgh Society of Illustrators and started clicking on all the names. When I got to John's name and saw his magnificent illustrations, I was hooked. I called him immediately and the rest is history! John is incredibly talented! What do the illustrations add to the fairytale? Everything! 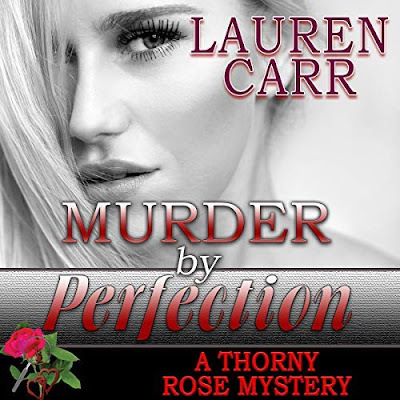 The illustrations bring the characters to life and engage the readers even more.They add beauty and elegance and make the book a work of art which is what I was seeking. What was the process like deciding on the final cover? Very fun! We knew we wanted it to be romantic, elegant and striking to catch the reader's attention, and we wanted to focus on ten fingers touching. John did the illustration and then we refined it together which is the process that we went through for all the illustrations. When you were writing TEN FINGERS TOUCHING, did you know what you wanted your characters to look like? The characters are described in the story, so yes, I had a vision of what they should look like. But, John Blumen, the illustrator brought the main characters to life, except for Evil. There is no character of Evil because Evil transforms himself. Evil is deceptive and he can be anything at any time! Years! I began writing it long ago but I never had the time to write the story that I really wanted to tell because, at the same time, I was growing my company. All my energy and creativity was going in building my relocation firm that eventually had a positive impact on the growth of Southwestern PA. In 2012, I restructured my company in order to carve out more personal time for myself and to focus on the story. Chapter one! This sets the stage for the climactic battle between Good and Evil. While many people think fairytales are only for children, adults enjoy reading them too. Why? a) A good story is a good story! b) Fairy tales are escapes and transport the reader to another world and away from the problems of the day. c) Fairy tales promote dreaming and magical thinking in adults. d) Fairy tales such as mine are multi-layered and can be read and interpreted on many levels. There is a lot to think about in depth if you explore the various themes. Without giving away too much, what is your favorite scene in the book? Chapter 12: The scene of ten fingers touching! As a successful business woman who runs her own company, finding time to write a novel must have been an interesting experience. How did you juggle your full time job while spending your off hours writing this book? As mentioned in response # 12, I cut back on my company to carve out more time to write. But I am also nocturnal and I write late at night when the rest of the world is asleep. I now understand why authors go to the Cape to write the great American novel. You need to immerse yourself in your story and avoid distractions. What lessons did you learn while writing the book? Surround yourself with great talent! I have an excellent editor and an outstanding illustrator. I also engaged a professional reader, a grammarian and members of my book club who were test readers! The end product is not just a book but a work of art. I love the book and it gives me great joy to have brought my dream to fruition. Are you planning to write any more fairytales? My next goal is to write the screen play! Are there any other genres that you would like to dabble in? I have an idea for a children's book but it's not a fairy tale. I have also thought about writing a story where the main character is loosely based on my Mother, who passed away 7 years ago. Any thoughts about turning TEN FINGERS TOUCHING into a movie? If so, who would you like to see play Marianna and Martak? Yes, I would like very much to see it made into a movie. It is very visual and I could picture every scene in the process of writing. I'm not sure who the current young actors or actresses would be best for the parts but Marianna should be played by a younger version of Gwyneth Paltrow and Martak by a younger version of Brad Pitt! I can picture Meryl Streep in the role of Good! Cheryl puts the "Wild" back into the Wild West!